Only standing there, looking at the demolished home, could I even begin to wonder at the pain and despair this family must have experienced. They were forced to decide whether to pull down the house they had built on their own land in Jerusalem or be charged 100,000 dollars and lose the land to the authorities. The authorities refuse most building permits for Palestinians which means houses are ‘illegal’. Omar is leading us on the Contemporary Way of the Cross set up by Sadeel Ecumenical Liberation Theology Centre. 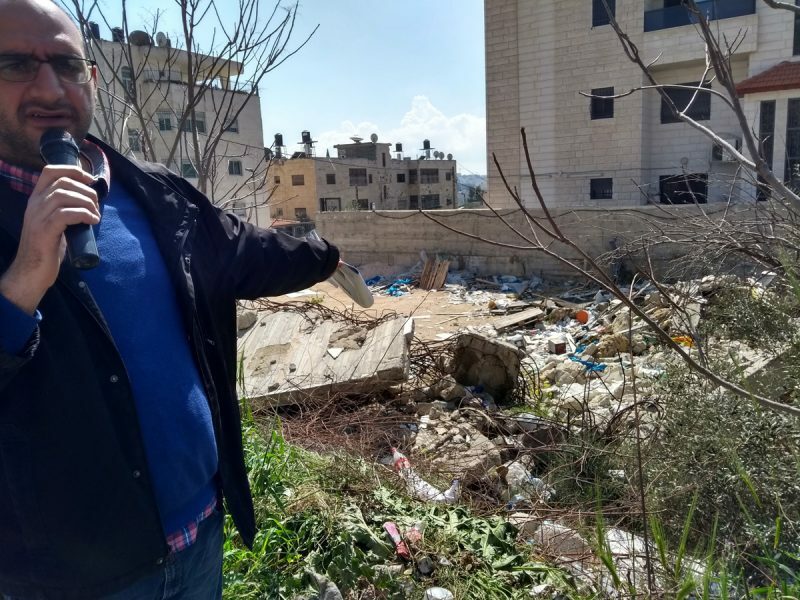 He tells us that the family decided to demolish their own home and were so ashamed that they moved away from Jerusalem to Jordan. 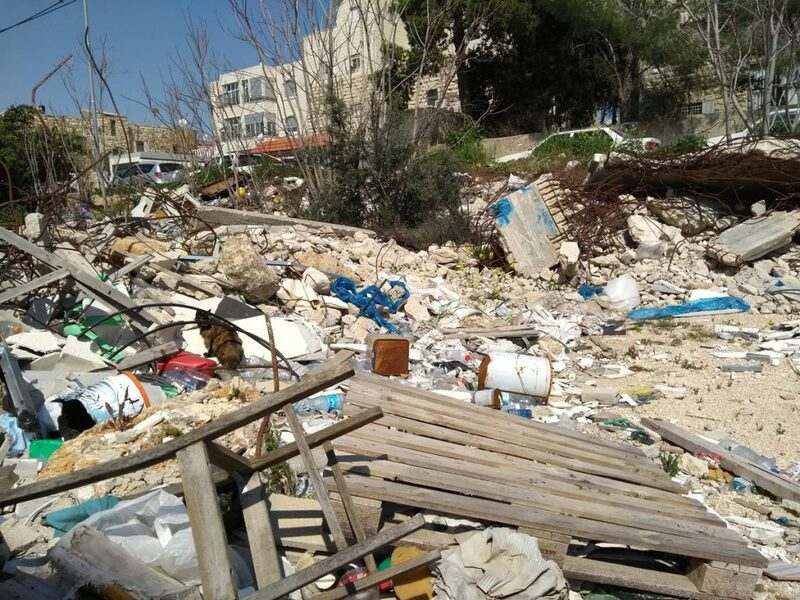 The loss of a home strikes at the core of our being and the scale of demolitions is horrendous with more than 18,000 Palestinian homes having been bulldozed simply because they interfere with the expanding illegal Jewish settlements.